Enhances hydration & maintains performance. Fast energy gel. Suitable for vegans.Our new energy gel with added electrolytes has been designed to help you maintain performance during prolonged endurance exercise by providing fast energy and aiding your body's ability to absorb water. It is made using natural flavours and is easy to digest. 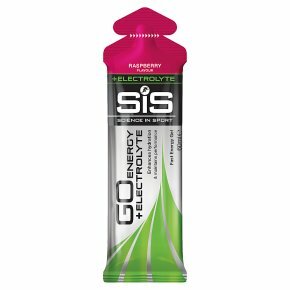 Directions: During long or warm exercise sessions consume 1 gel with water alongside 2 x SiS GO Isotonic Energy gels per 60 minutes to maintain energy levels.